Questions about Kichler Lighting 43125CH? This elegant and sophisticated 2 light wall sconce from the Jules collection will dress up any space. 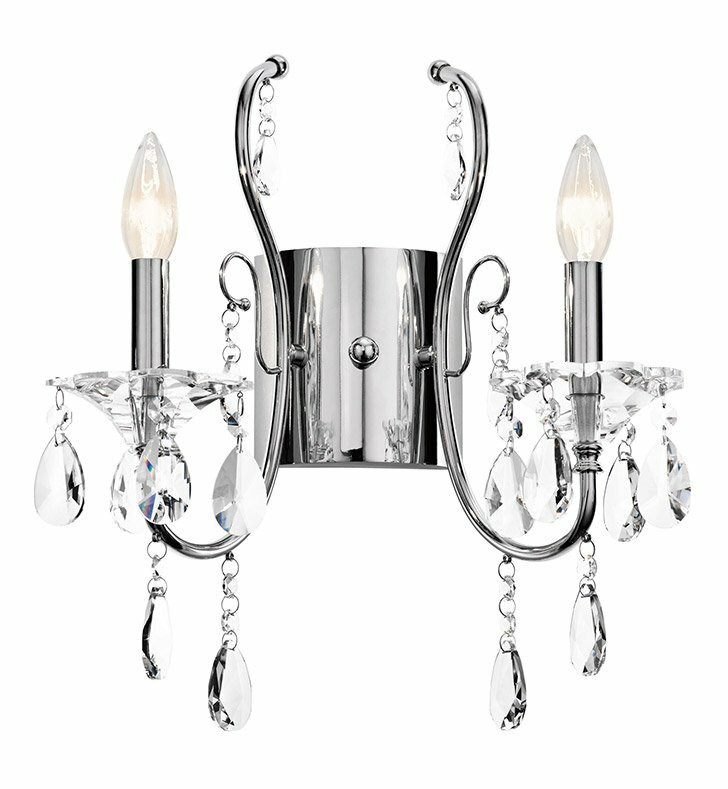 It features a soft transitional look with polished chrome and perfectly placed and highly reflective teardrop crystals. Dimensions: H 15 1/4" x W 13 1/2"